In recently concluded WWDC 2016, Apple has announced its new operating system iOS 10. 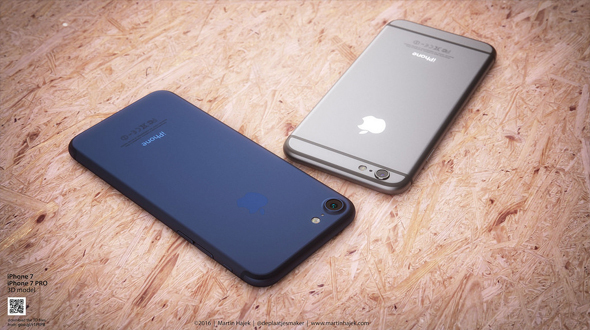 The commercial launch of the same is expected to be in September with new flagship of the company “iPhone 7”. Recent reports and leaks about the upcoming smartphone are in full force with almost everyday some new information being revealed online, and to add on this latest one testifies to previous rumors of a 256GB storage variant and as we have suspected in our earlier report it’s possible third variant of the iPhone 7 this year. In the recent post we have highlighted the point that it is possible that the company might be looking forward for the third variant of the device, possibly named as iPhone 7 Pro. 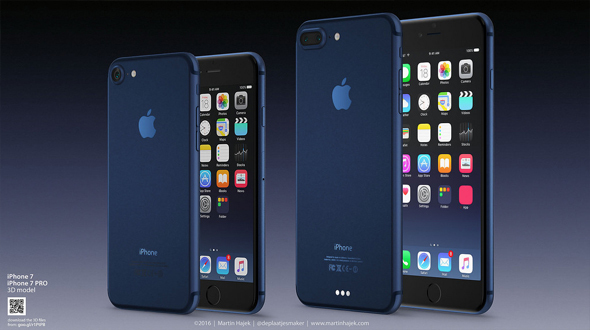 As per the recent leaks the iPhone 7 might have 256GB variant. Apparently, the iPhone 7 will come in new storage options namely - 32GB, 64GB, and 256GB. However, the iPhone 7 Plus and iPhone 7 Pro will come with - 32GB, 128GB, and 256GB storage options. If this rumor has to be believed, there could be an iPhone 7, 7 Plus and a new ‘Pro’ model to choose from. That’s essentially the same as the iPad mini, iPad Air and iPad Pro. If all these rumors become reality, then the user of iPhone 7 will have new model of iPhone to choose from which was limited to only two till iPhone 6 with different color options. As per the earlier reports it is also expected that Apple is going to replace the most loved color “Space Gray” with the “deep blue” color. Reports have not cleared, if the Pro may be a larger device like the original iPad Pro was for the iPad lineup, or why we need it. Rumors point to it having a dual-camera array, and/or wireless charging via the smart connector we see on the iPad Pro. Other than the storage upgrade leak, reports also reveals the pricing of the iPhone 7 Pro. The price of the new variant is expected to begin from CNY 7,088 (roughly Rs. 72,900) for the 32GB model, and go up to CNY 8,888 (roughly Rs. 91,200) for the 256GB model. As we all are aware that Apple is known to keep the pricing of its iPhone 4.7-inch and 5.5-inch variants the same every year, and the Weibo leak says that will be the case this year as well. Which device will have other leaked features like dual back camera, wireless charging, recent leaks Dual SIM feature, etc are yet not revealed and answer of this question is yet hidden for the future. Earlier this month there were reports from the many well known experts that iPhone 7 may not have the bigger change as expected and Apple will push that for the next device, which will be iPhone 8 instated of iPhone 7c as per the tradition. If this has to be believed this is a confusing state as all these changes indicates about bigger upgrade coming up in iPhone 7. Upgrading the memory of the device will help to gain the market share as the counter part and close competitor of Apple, Samsung offers better memory options. This step is also required as number of non-Apple smartphones now have 32 gigabytes by default, since memory has become cheaper and the size of apps, media, and operating systems has made 16 gigabytes increasingly impractical. Memory requirement has also increased as the number of Apps which users are currently using on the devices has increased significantly. These all are rumors after all and the final version of same is expected to be launched in September this year as per the tradition and Apple has stated iOS 10 will have commercial launch in spring of 2016.